pfSense® CE 2.0.2 è un aggiornamento della versione 2.0.1 con dei bug fixes di sicurezza e non solo. È possibile aggiornare ogni precedente versione a pfSense® CE 2.0.2. Qui di seguito sono riportati i bug fixes. Auto Update URL – Per chi aggiorna, prima assicurarsi di aver impostato la URL corretta. 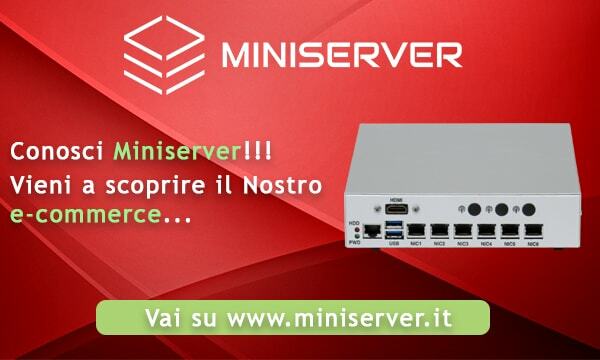 Decine di migliaia di installazioni con pfSense® CE 2.0 avevano una URL di aggiornamento impostata sul server snapshot piuttosto che sulla stabile. Altri avevano impostato manualmente la loro architettura in modo non corretto e non riuscivano ad aggiornare per questo motivo. Per risolvere questa problematica basta andare su System> Firmware > Updater Settings. Settare la corretta architettura: “Default Auto Update URLs” casella a discesa, scegliere o l’i386 stabile o amd64 a seconda della versione che avete installato, e fare clic su Salva. Quindi è possibile utilizzare la funzione di aggiornamento e garantire che sarà scaricata ed installata l’immagine corretta. PPP-assigned DNS server problem – those with PPP type WANs (PPP, PPPoE) using the DNS servers assigned by their ISP rather than ones defined under System>General Setup, be aware those DNS servers will not be used. There are two work arounds detailed here. Downloads for new installs can be found on the mirrors here. OpenNTPD was dropped in favor of the ntp.org NTP daemon, used by FreeBSD. NOTE: ntpd will bind/listen to all interfaces by default, and it has to in order to receive replies. You can still do selective interface binding to control which IPs will accept traffic, but be aware that the default behavior has changed. Various fixes for typos, wording, and so on. Do not redirect on saving services status widget. Don’t use $pconfig in widgets, it has unintended side effects. Fix display of widgets with configuration controls in IE. Changed some padding/margin in the CSS in order to avoid wrapping the menu. Don’t ignore when multiple OpenVPN DNS, NTP, WINS, etc servers were specified in 1.2.3 when upgrading. 1.2.3 separated by ;, 2.x uses separate vars. Fix upgrade code for 1.2.3 with assigned OpenVPN interface. Be more intelligent when managing OpenVPN client connections bound to CARP VIPs. If the interface is in BACKUP status, do not start the client. Add a section to rc.carpmaster and rc.carpbackup to trigger this start/stop. If an OpenVPN client is active on both the master and backup system, they will cause conflicting connections to the server. Servers do not care as they only accept, not initiate. Only do foreach on IPsec p2′s if it’s actually an array. #2201 Don’t let an empty subnet into racoon.conf, it can cause parse errors. #2201 Reject an interface without a subnet as a network source in the IPsec Phase 2 GUI. Add routes even when IPsec is on WAN, as WAN may not be the default gateway. #1986 Revamped IPsec status display and widget to properly account for mobile clients. Fixed a bug that caused the IPsec status and widget to display slowly when mobile clients were enabled. #2066 Improve adding/removing of users accounts to the underlying OS, especially accounts with a numeric username. Fix ssh key note to refer to DSA not just RSA since both work. “:” chars are invalid in a comment field, filter them out. When renaming a user, make sure to remove the previous user or it gets left in /etc/passwd. #2326 Do not allow empty passwords since this might cause problems for some authentication servers like LDAP. Take routing table into account when figuring out which IP address to use for talking to CP clients. Prevent browser auto-fill username and password on voucher config, as it can interfere with the settings being properly saved if sync isn’t fully configured, which this can make happen accidentally. #2378 Fix selection of CP interfaces when using more than 10 opt interfaces. #2327 Respect the value of the per-rule “disable reply-to” checkbox. #2163 1:1 Reflection fixes for static route subnets and multiple subnets on the same interface. Better validation on URL table alias input from downloaded files. #2293 Don’t put an extra space after “pass” when assuming it as the default action or later tests will fail to match this as a pass rule. Update help text for Host aliases to indicate FQDNs are allowed. #2210 Go back to scrub rather than “scrub in”, the latter breaks MSS clamping for egress traffic the way we use it. Fix preservation of the selection of interfaces on input errors for floating rules. Fix URL table update frequency box. Fix input validation for port forwards, Local Port must be specified. Added a setting to increase the maximum number of pf tables, and increased the default to 3000. Properly determine active GUI and redirect ports for anti-lockout rule, for display and in the actual rule. Handle loading pf limits (timers, states, table/entry limits, etc) in a separate file to avoid a chicken-and-egg scenario where the limits would never be increased properly. Since the CARP interface name changed to “vipN” from “carpN”, devd needs to follow that change as well. #2242 Show lagg protocol and member interfaces on Status > Interfaces. #2212 Correctly stop dhclient process when an interface is changed away from DHCP. Properly obey MTU set on Interface page for PPP type WANs. #2057 Add a checkbox that disables automatically generating negate rules for directly connected networks and VPNs. Clarify the potential pitfalls when setting the Frequency Probe and Down parameters. #2068 Fix multiple keys in a file for RFC2136 dyndns updates. #2144 Be smarter about how to split a Namecheap hostname into host/domain. Add a small script to disable APM on ATA drives if they claim to support it. Leaving this on will kill drives long-term, especially laptop drives, by generating excessive Load Cycles. The APM bit set will persist until the drive is power cycled, so it’s necessary to run on each boot to be sure. #2158 Change SNMP binding option to work on any eligible interface/VIP. If the old bindlan option is there, assume the lan interface for binding. Fix reference to PPTP secondary RADIUS server shared secret. #2147 Add button to download a .p12 of a cert+key. #2233 Carry over the key length on input errors when creating a certificate signing request. #2207 Use PHP’s built-in RFC 2822 date format, rather than trying to make our own. Allow specifying the branch name after the repository URL for gitsync command-line arguments and remove an unnecessary use of the backtick operator. Set FCGI_CHILDREN to 0 since it does not make sense for php to manage itself when lighttpd is doing so. This makes it possible to recover from 550-Internal… error. Support for xmlrpcauthuser and xmlrpcauthpass in $g. Fix Layer 7 pattern upload, button text check was incorrect. Use !empty instead of isset to prevent accidental deletion of the last used repository URL when firmware update gitsync settings have been saved without a repository URL. Stop service needs to wait for the process to be stopped before trying to restart it. Fix missing description in rowhelper for packages. #2402, #1564 Move the stop_packages code to a function, and call the function from the shell script, and call the function directly for a reboot. Removed an invalid declaration that considered 99.0.0.0/8 a private address. #1049 Fix crashes on NanoBSD during package removal/reinstall. Could result in the GUI being inaccessible after a firmware update. Fix issues upgrading from systems with the old “Uniprocessor” kernel which no longer exists. Fix a few potential XSS/CSRF vectors. Thanks to Ben Williams for his assistance in this area. Fixed issue with login page not showing the correct selected theme in certain configurations.